America loves the Summit League. Or at least I think-slash-hope they do. And if they don't, then it's too bad because the 2016 Summit League Tournament kicks off this Saturday evening from what we call the "Queen City of the West", Sioux Falls. This is a tournament that more often than not features a 1-2 matchup in the championship but who knows, we may very well see a surprise this year. Here are my exclusive predictions for the 2016 Summit League Tournament. Very exciting times for the Horizon League Tournament as for the first time since 2002, the tournament will be held at a neutral venue. It will be the legendary Joe Louis Arena in Motown and thus, they're now calling the tournament Motor City Madness. I love it. Our old friends at Valparaiso are the favorite coming into this weekend to repeat as conference champions, but I'm sure that Oakland, Wright State, Green Bay and the rest of the conference may have something to say about that. Here are my predictions for Motor City Madness 2016. The 2016 Southern Conference Tournament will kick off this Friday in what we refer to as the "Land of the Sky," Asheville, North Carolina. It seems safe to say that the favorites coming into this weekend are the Mocs of Chattanooga but hey, that's why they play the games, right? Who will get the SoCon's automatic bid to the 2016 NCAA Tournament come Monday night. Here are my exclusive predictions. The good folks in the Colonial Athletic Assocation will have their conference championship kick off on Friday from the legendary Royal Farms Arena in Baltimore. And once again, it seems that the tournament is as wide open as it has been in recent years with potentially a handful of clubs in the mix to get that automatic bid to the NCAA Tournament. But which team will it be? 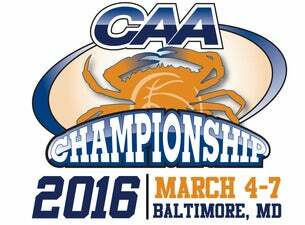 It's time for my predictions for the 2016 CAA Tournament. The first of what is four conference tournaments taking place in the Las Vegas Valley is that of the West Coast Conference and their tournament kicks off on Thursday from the Orleans. And what is unique about this year's WCC Tournament is that it may be the first one in a while in which Gonzaga is not the clear-cut favorite as Saint Mary's won the tiebreaker for the top seed. And, neither team may be able to rely on an at-large bid should one not get the automatic bid, adding just a little more intrigue this year. Who will win the 2016 West Coast Conference Tournament? Here are my predictions. The 2016 MAAC Tournament kicks off this Thursday from beautiful Albany and there just may be more eyes than usual on this tournament. And the reason why that is is because of Monmouth. The Hawks became a story in the college basketball realm thanks to a litany of hilarious celebrations from their bench. Just check out Google for evidence. But more importantly, Monmouth was pretty darn good this season and they enter the tournament as a clear favorite. Can somebody, be it Iowa or Siena or someone else, crash the party and get the MAAC automatic bid? Here are my predictions. This Thursday will see the start of the 2016 Big South Tournament, hosted this year at the Pope Convocation Center in Buies Creek, North Carolina. As you might have surmised, Campbell will be the effective home team and we should note, the last two Big South Tournament champions were the hosts of the tournament. Of course, we should also note that Campbell finished tied for last in the conference this season so that streak will likely end. Keeping that in mind, who will get the Big South's automatic bid to the 2016 NCAA Tournament? Here are my predictions. Starting tomorrow night and taking place over the next week and a half, the America East Tournament will decide which of its eight members will get the conference's automatic bid to the NCAA Tournament. This year, the conference was very top heavy with four teams with at least 18 wins and 11 conference wins while the bottom four teams won no more than nine games (UMass Lowell is not participating due to their transition to D-1). That said, you could make a case for each of the top four teams, but which team will it be? It's time for my predictions for the 2016 America East Tournament. 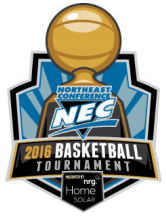 Another conference tournament that will kick off on Wednesday will be that of the Northeast Conference. And it would look like that the heavy favorite this week will be the Seahawks of Wagner considering that not only do they look like the top team in the conference, they also will have homecourt advantage thanks to the NEC's tournament structure of the higher seeds hosting their games. However, the top seed in this conference tournament has not won since 2012.
Who will get the automatic bid to the NCAA's? Here are my predictions for the 2016 Northeast Conference Tournament. 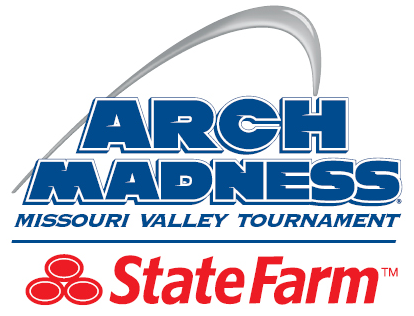 Once again, the first team into the 2016 NCAA Tournament will be the victor of Music City Madness. 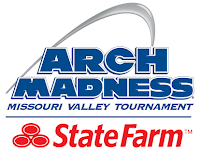 The Ohio Valley Conference Tournament will kick off this Wednesday and will conclude on Saturday night, all taking place at the legendary Nashville Municipal Auditorium. The Belmont Bruins enter the tournament as the top seed as they aim to defend last year's championship but do note, the top seed hasn't won this tournament since 2013? Will they break the trend? Here are my predictions for the 2016 OVC Championship. We are not quite in March just yet but once we crack March 1, the conference tournaments will commence. And as per usual, one of the very first conferences to have their tournaments is the Atlantic Sun as they will kick off on Monday night. Last year's tournament victor, the Ospreys of North Florida, are favored to win it again but could we see an upset champion? Here are my predictions. The 2016 Combine is currently underway in Indianapolis amid rumors and speculation that we may finally see some changes to the event. 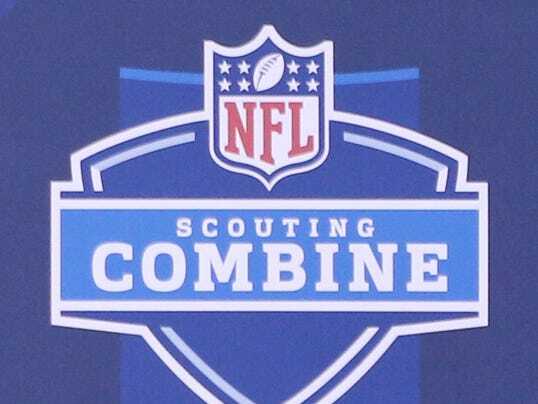 Personally, I'm not a huge fan of the Combine as it's gotten a little goofy over the years but it does serve a role in the draft preparation process. I'll have further insights from the Combine next time but until then, check out my third mock for 2016.